Lean customer service; cut costs and grow business – is often the mantra of improvement professionals though examples can sometimes be difficult to find. Take a look at the projects you've completed how many are internally focused and how many have come from real customer insight. When was the last time your improvement team sat down with your customer satisfaction team, your marketing team and used their insights? There are lots of examples of cost cutting and reduction exercises. Few though which talk of growing a business and costs being reduced as a function of better service. It’s good to see a company saying that improving customer service has allowed it to reduce the demand on its Contact and Service centres. The company don’t share whether this a Lean Call Centre project, it does seem as though they have identified what was driving demand on these call centres and reduced this demand. They’ve found the causes of waste and are doing something about it. Fewer complaints; they’ve stopped customers complaining in the first place. They don’t share whether this is by improving their service or by making customers more informed of what the service is and how to best access it. 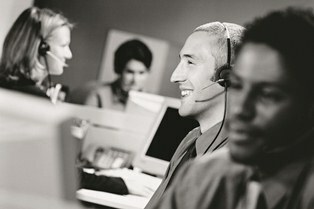 Improving first call resolution; reducing the duplication waste of handling a customer query twice. 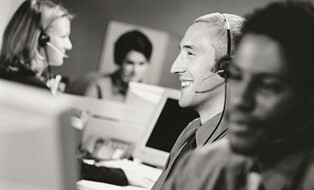 Our free Lean Call Centre guide highlights these and other typical areas of waste in a Customer Contact Centre. The company in question is TalkTalk and in the first story TalkTalk closes two call centres, creates 450 jobs– shares how they have been able to close two call centres because they have improved overall service to customers and reduced demand on these centres. The second story is the evidence as well that TalkTalk has reduced the number of complaints by 25-33%. Now that is a great performance but just to give it some more context they still have more complaints (per thousand customers) than their competitors. TalkTalk also appear to be committing to re-deploy the staff to other parts of the organisation. Demonstrating that improving the service to customers can lead to reduced costs and yet the organisation becomes more competitive and needs more staff as they grow. Now the re-deployed staff may require different skills or experience or roles may be in new locations and therefore some individuals may still be affected negatively by the changes – so the news may not be positive for all. As companies simultaneously identify waste, cut it out and identify value adding services for customers they will require new skills and expertise and this will challenge existing HR and staffing requirements. Does your lean customer service improvement program reflect on the HR changes and the effect improvement will have on individuals?